A friend is someone to treasure and when they pass on you appreciate the untold value of that person and friendship. Such was with my good friend Ian Wilkes who sadly passed away on Tuesday September 8, aged 83. We officially met when I joined the Romford Recorder and soon came across the small person whom I immediately nicknamed Bilbo Baggins. Small in stature, but huge in determination and achievement, he was an impossible act to keep up with let alone follow. The nickname was an affectionate tag as Ian and I immediately recognised a kindred spirit in each other as well as our challenged distance from the ground up. A tremendous sense of fun usually delivered with an enormous twinkle in his eye. It was one of those friendships where no offence was ever given or taken. In Ian I also recognised the enormous talent for theatre, particularly in his constant supply of notes and calls to the newsroom about the Chameleons, a local theatrical group he founded with his wife Pam and Frank Everett. It was this contact with a superior mind in a Tolkien body that developed in me an early obsession to go on stage; so anyone who has seen me act can blame him. I did not try to join his group as apart from not letting me anyway, I knew it would be a lost cause as we would never get anything done. 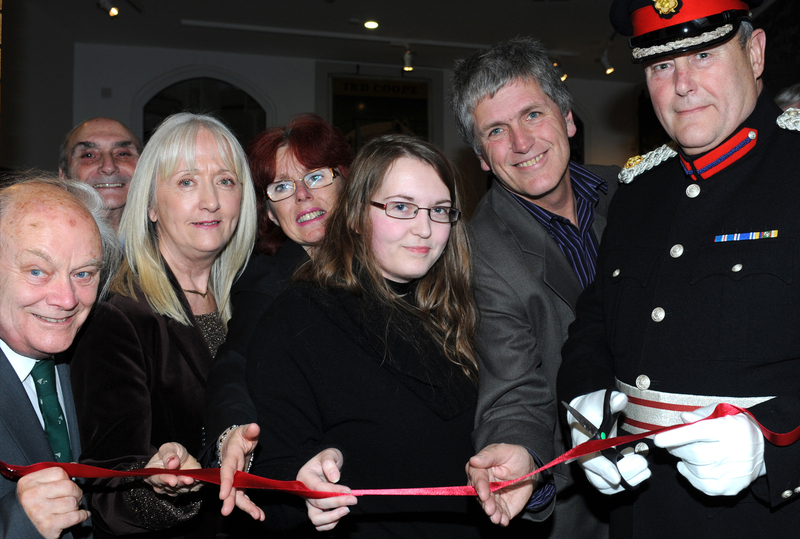 For a time, a Residents’ Association Councillor, one of his ideas I thought had a lot of merit, was the creation of a home for the town’s rich history housed in a dedicated building now called Havering Museum. It became a mission for him, and with enormous determination, eventually got it off the ground by taking over and developing the offices of the old Romford Brewery in the High Street working tirelessly setting it up. I even joined the steering committee that set about making the idea into a reality for a short while, but declined his offer of becoming part of the trust because it involved money and I was not in a position to re-mortgage my house. Another player on the scene at that time was Vernon Keeble Watson. He remembers Ian as a: “Founder member (along with his wife Pam and Frank Everett) of the very successful Chameleons some 60 plus years ago and also one of the driving forces behind the Havering Museum and I believe the Havering Arts Council. “He was a book publisher too (Ian Henry Publications ) and one of my mentors when I first started doing drama some years ago when I was just aged 20. When I was asked by Bob Carlton to script a special variety show to celebrate the 50th anniversary at the theatre, Ian was one of the many names I interviewed. 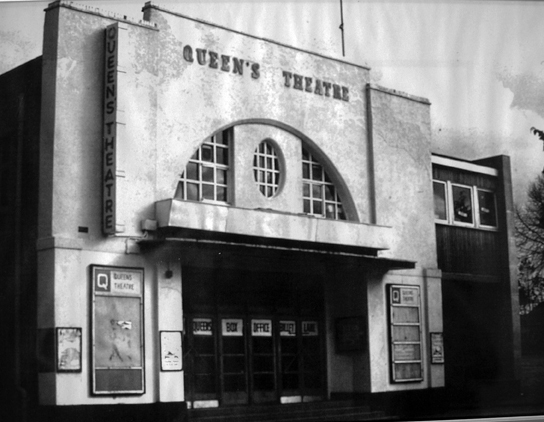 He was involved in the Queen’s Theatre in the early days in Station Lane and latterly at Billet Lane, Hornchurch..
“The very nature of the Queen’s theatre in its early days was serving the community as a professional rep, but such was the funding, the ‘management’ had to call on enthusiastic local amateur groups in times of need. “One such occasion was in August 1959 with the production of Arnold Ridley’s Ghost Train. “The problem was apparently the train itself. The theatre had the company actors, but asked us for help with the train effects. “The story of a ghostly train thundering through a deepest West Country station in the middle of the night is well known, but the unseen train is the pivotal part of the play. “The director wanted noise as well as the flashing lights of the carriages as it sped through the station,” said Ian. “The solution was along the lines of the old joke, how many theatrical producers does it take to change a light bulb? In this case it was seven! “The flashing lights were down to one of our number with a spotlight and large piece of cardboard which he waved sideways across the light to simulate the passing carriages. The sound effect of train wheels going over points and gaps in the rails came from a wrought iron garden roller being pushed over mathematically placed slats of wood stretched out across the entire back stage. As the train made four appearances during a performance, the enthusiastic amateur players needed all their enthusiasm and energy to not only achieve the effect, but also stop the roller going through the side wall. “It was perishing hard work as heavy iron rollers are not designed for moving at speed. On the last night we started celebrating the after show party a tad early, and only God knows how we managed to stop the roller, because my memory of that night is clouded. Though he never acted in the Old Queen’s, Ian and Pam and the Chameleons helped out back stage on many occasions. “The dressing rooms would have been condemned today. They ran parallel to the width of the theatre, the first were eight mirrors in one, six in the next and the carpenters and set store. “There were skylights in the dressing room roof, and they leaked. In very bad weather, they might just have not been there, and you could always tell the actors who had drawn the short straw under the leaky skylight by the bedraggled look and trail of wet foot prints they left behind. “We managed to see a large majority of the productions, and I remember ‘Waiting for Godot’ as one of the most weary to sit through as we were sitting in the not posh two shilling seats at the back where draughts were fast and furious. “Perhaps the strangest experience was watching the curtain go up on the first act of a play to reveal an empty set. Opposite the theatre was a small café frequented by the actors, and apparently on this particular night someone had forgotten to call them and they were on their way back from the café. “The orchestra pit, which had to be accessed through the auditorium, was ‘verminous’ and you were never short of company, and towards the end of the theatre’s life, the leaks managed to make their way to the main roof with some seats being un-sellable during bad weather. “One of the first amateur groups to take advantage of the old Queen’s was the Dagenham based Chemical and Pharmacutical group, May and Baker Choral Society, these were followed some years later by the YMCA Choral Society. “With a huge cast of more than 60 souls, the dressing rooms were an immediate problem. The principal males had the first dressing room, the principal female singers the second, and the rest had to change in the car park. “Quite a lot of them used to go home with their make-up on as the only hot water was from one old and noisy geezer. It gushed out scalding water for a couple of minutes then remained dormant for ages while it thought about another delivery. Talk about primitive. “The Queen’s was right for the time. It was usual for rep to produce a play a week, so the Queen’s fortnightly was considered a luxury, but it was during a time when the people wanted to see something different. It was fun to go and to see a comedy, then a tragedy and next a farce. Valued memories and I used a lot of them in the script for the show. Ian’s humour was contagious and that is something I will miss most. He leaves wife Pam and sons Nick, Chris, Matthew and Jeremy. The funeral and cremation will take place on Monday October 5.